When it comes to spring and summer puddings there are very few which have such great impact, with such little input, as the Pavlova. It’s crisp exterior and chewy marshmallow inside topped with whipped cream and tart fruit is a killer combo but is still light enough to serve after a heavy meal. To me the Pavlova personifies the dinner party dessert but without the drama. So when I was asked to contribute a guest post to the delectable Kitchen Moxie, which prides itself on offering simple stress free recipes for dinner party success, it seemed like a match made in gastronomic heaven. 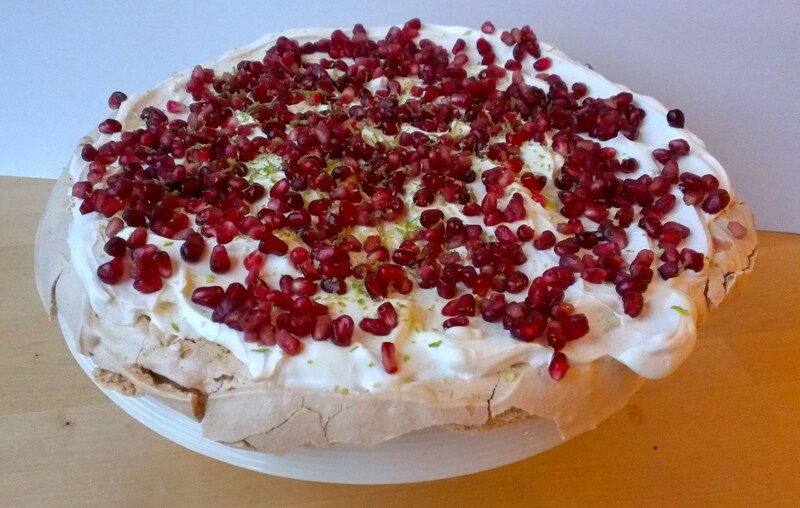 With The Weegie Kitchen going stateside, what better to have tucked under its arm than a Lime & Pomegranate Pavlova? Twirl on over and check it out here! 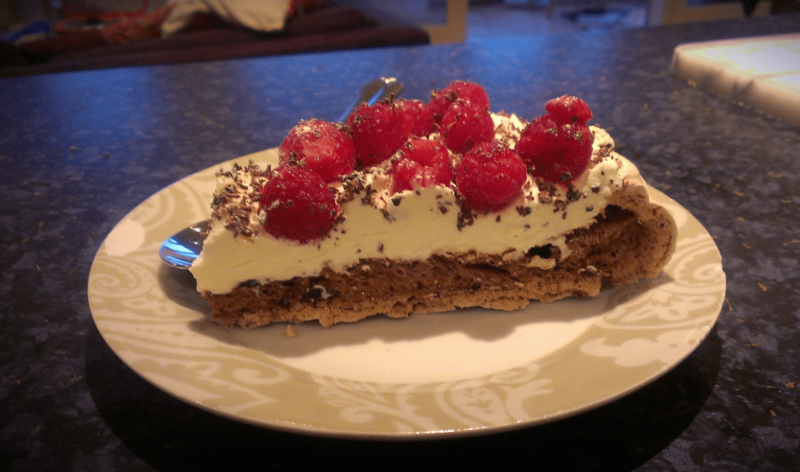 Replacing the custard powder or cornflour with cocoa powder and adding some finely chopped dark chocolate to the egg whites for a decadent Chocolate Pavlova? Recipe here. Experimenting with different fruit toppings. Tart fruit such as raspberries and passion fruit work really well with a sweet base and a little lemon, lime or orange zest added to the egg whites would give a subtle zing. Something a little more autumnal and fold some cinnamon and nutmeg into the egg whites then top with sliced figs & a light drizzle of honey. Whichever you go for just remember the Pav doesn’t keep for very long so I wholeheartedly recommend eating it ALL on the day you make it. If gluttony isn’t your thing then make a smaller one with less eggs (see the post for more info) or invite some pals over for a pudding soiree. Wine in exchange for pud is something I reckon most people will get on board with.